14.88mm x 15.12mm / 0.586in. x 0.595in. Boy and Girl Holding Hands Charm by Rembrandt Charms. The height is 5/8 of an inch. 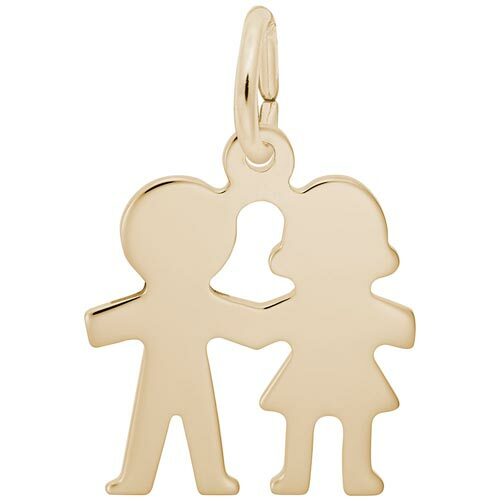 The Boy and Girl Holding Hands Charm is perfect for any mom with a son and daughter. This charm can also be given to any first love.